Miyoko Ito was known as an “abstract surrealist.” Her paintings are landscape-based abstractions of very intense subtleties of structure and color. Ito was born to Japanese parents in Berkeley, CA in 1918. She studied art at the University of California at Berkeley for a short time until she was imprisoned in a Japanese-American camp after the bombing of Pearl Harbor. Ito continued her education in prison, after which she attended Smith College. She was then given a scholarship to attend the School of the Art Institute of Chicago. It was in Chicago that Ito's career as an artist flourished, where she explored cubism and latent abstraction in her works. 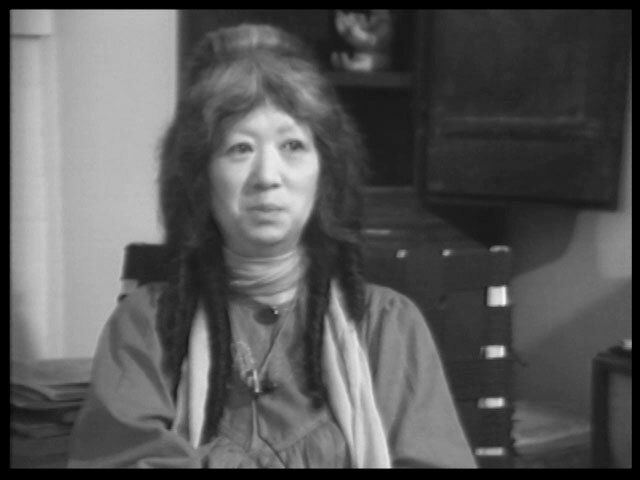 Ito remained in Chicago until her death in 1983. “People say my paintings are the act of creation, and they are. The paintings are very much a part of life, like breathing. It’s very much do or die. I’m growing all the time. All those years of painting is the beginning all over again. It’s so wonderful,” Ito says in this interview with Kate Horsfield. A historical interview originally recorded in 1978 and edited in 2014 with support from the Lyn Blumenthal Memorial Fund.